Dan & Jay discuss Seth Rollins’ pathetic tweet in which he called out the fans of Brooklyn for their reaction to the Universal Title belt reveal at SummerSlam. They also accuse “Softcore Legend” Mick Foley of coddling this attitude of entitlement in the process. Then the guys switch gears and choose entrance themes from trademarked music for a few of the members of the Lucha Underground roster. A fun conversation that will also get you thinking. 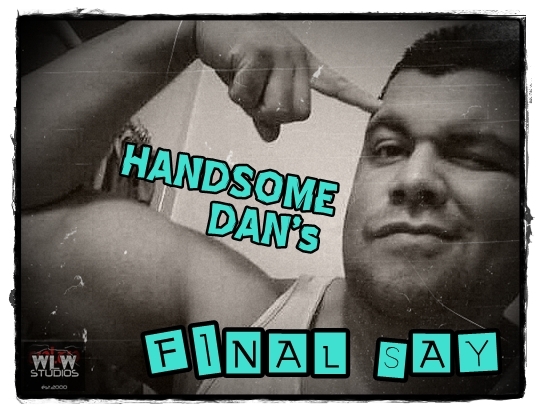 Handsome Dan & Jay Baca do a little extra ranting during this week’s review of Lucha Underground, which gives the Smartest Man Not In Pro Wrestling a chance to drop some pearls of wisdom on the masses. Plus, the first installment of the brand new segment “My Musical Journey.” We cover a lot of ground this week so get on your walking shoes and your thinking caps. It’s time to Raise Your Wrestling IQ! This episode is loaded with useful information like what the Ultimate Warrior’s bedroom habits may have been. Plus, this week’s episode of Lucha Underground is thoroughly examined. Time to raise your IQ!